At the dawn of a new year is the perfect time to reflect on what worked in 2015 and imagine new possibilities for 2016. Whether your home renovation project is big or small, there’s likely somewhere to add value to your home. These 80-90 million adults born between the early 1980s and early 2000s are changing home buying and renovating when it comes to home features, interior design, and outdoor space. As the largest group to emerge since baby boomers, millennials are just beginning their era of impact. Millennials are not generally looking for all the traditional details and fancy materials that can increase a home’s price. Moldings, which used to be a sign of status and craftsmanship, no longer hold allure and make some buyers wonder what’s hiding beneath them. 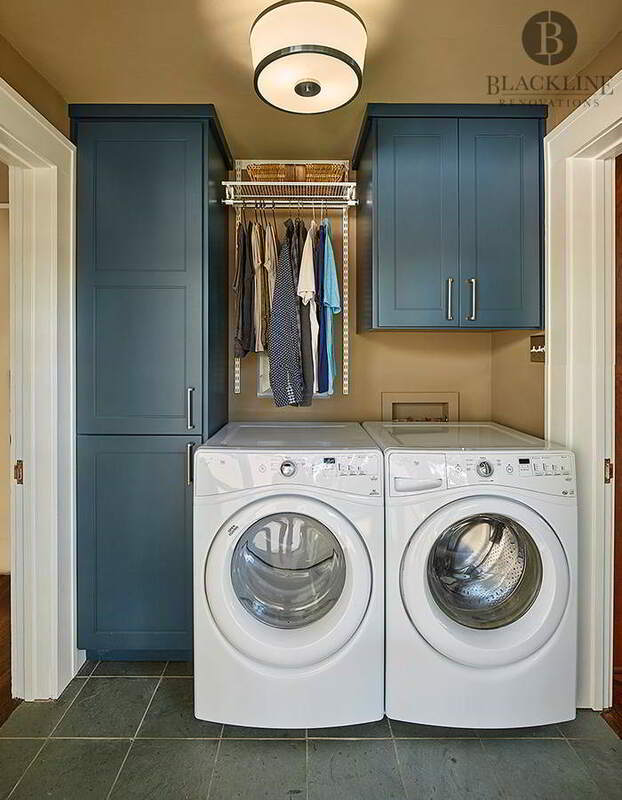 Millennials splurge on separate laundry facilities and walk-in closets instead. A Better Homes and Gardens Real Estate (BHGRE) survey of 18 to 35 year olds found that eighty-four percent of respondents believe updated technology is a home essential. Fifty-six percent ranked home technology capabilities as more important than curb appeal. BHGRE’s survey named their most sought-after home technology features as an energy-efficient washer and dryer (57%), a security system (48%), and a smart thermostat (44%). Budget-conscious millennials are trending toward smaller homes in the suburbs with open floor plans, low-maintenance landscaping, and storage. With average homeownership of 10 years in their first home, millennials opt for high quality, long-lasting materials and are more likely to choose bold colors to personalize their homes. Smaller homes also mean multi-functional interiors to maximize space and utility. Unlike space-starved millennials, empty nesters often face the challenge of under-utilized spaces. Having rooms that you no longer need on a day-to-day basis gives you space to enlarge the family room, move the laundry room, build your dream kitchen, expand the foyer or create a spa-like master bath retreat. Whether it’s upgrading an attic space or combining small bedrooms, creating a new master or guest suite tops the list of renovation projects for empty nesters. Accessibility-focused updates accommodate both aging homeowners, as well as the growing families of adult children who come to visit. Upgrading your kitchen from family-oriented efficiency to a combined eating and dining space geared for entertaining is another popular renovation. Classic white cabinets accented with stainless steel and upgraded ceramic, stone, or hardwood floors continue to please across generations. Large sliding glass doors and picture windows that connect exterior and interior spaces are also popular upgrades. Creating your dream home office, game room, or crafting center are classic uses for the empty rooms grown children leave behind. Whether it’s built-in cabinetry, a wet bar, or tranquil yoga/spa lighting, personalizing your spare room will definitely enhance your quality of life. No matter what upgrade you want to see in your home in 2016 and beyond, a professional contract can draw up plans that bring your vision to life and help you stay in budget. Give us a call to start your new year with a new project.